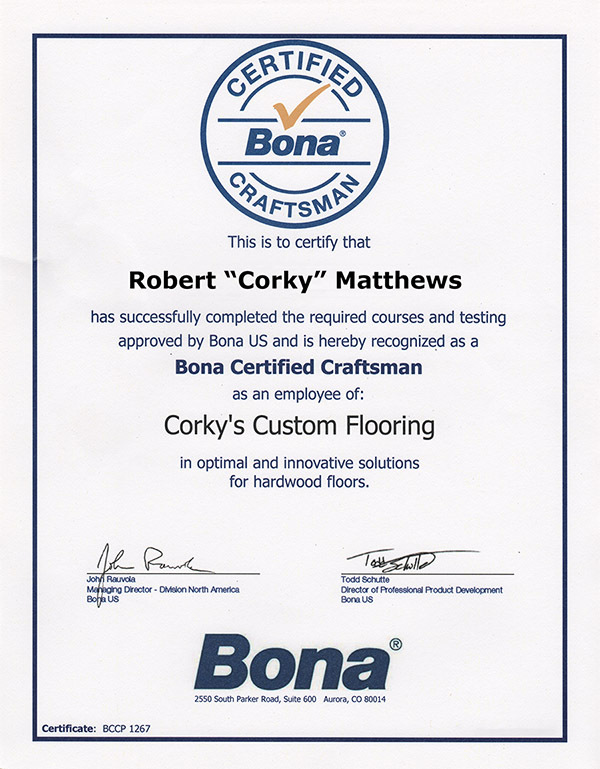 Welcome to Corky’s Custom Flooring! throughout homes in Knoxville, TN. Corky’s Custom Flooring, Knoxville, TN, is your premier source for all of your hardwood flooring needs. 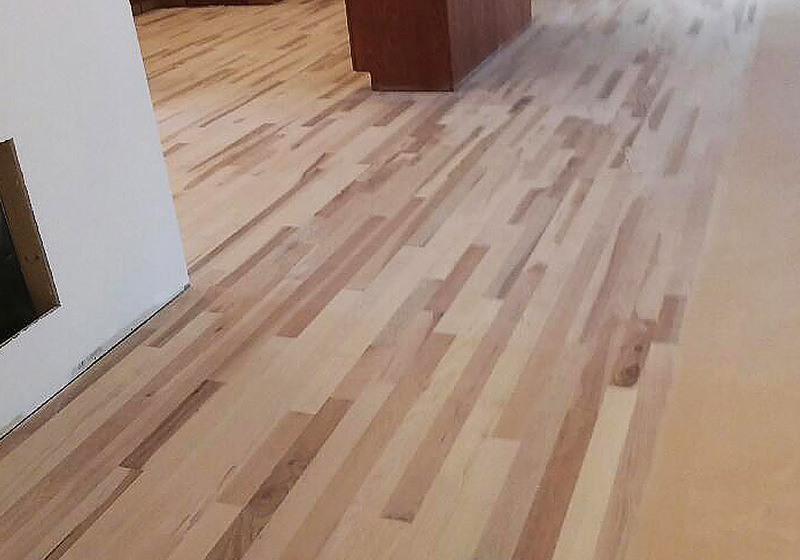 We specialize in every aspect of hardwood flooring including installation, refinishing, and repair. 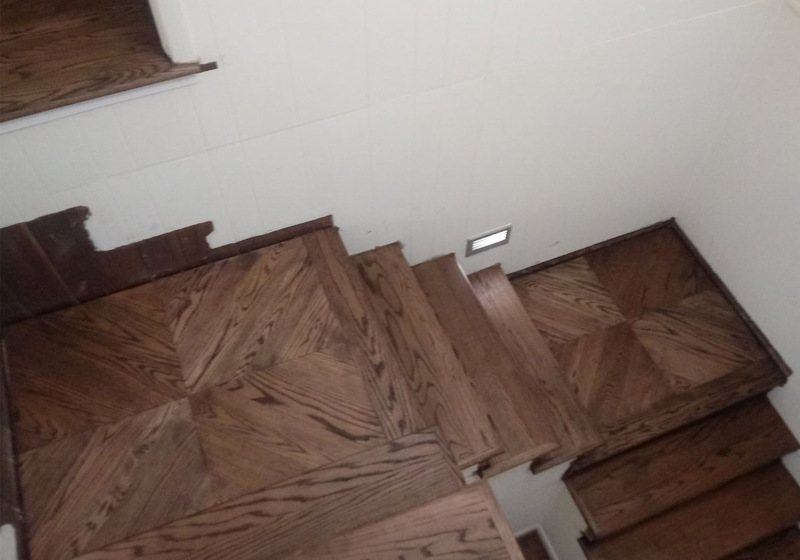 Whether you have just moved into a brand new home or are looking to start a remodeling project, Corky’s Custom Hardwood Flooring is here to help you every step of the way. We are Licensed and Insured. Our professional installers and staff will help you select the hardwood flooring that is perfect for you. Our goal is to help you achieve the elegance and beauty in your home that you have always dreamed of. Adding hardwood floors is an excellent way to increase the beauty and elegance of your home and can add long lasting value. 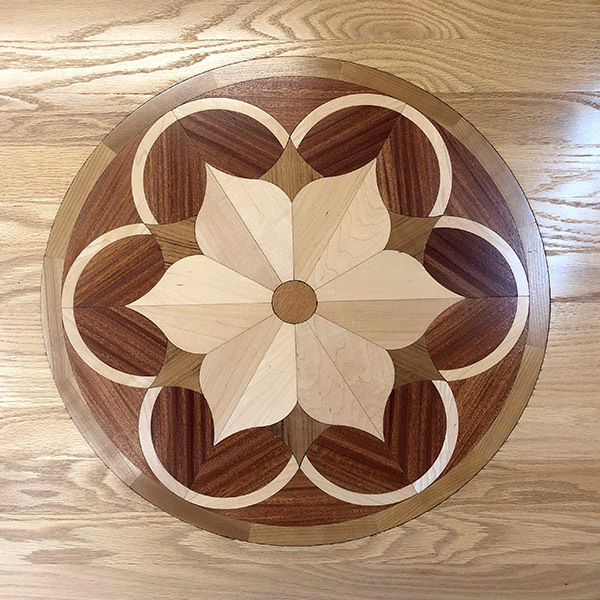 At Corky’s Custom Hardwood Flooring, we understand how important your home is and we are dedicated to providing our customers with excellent service and high-quality craftsmanship. Let us know how we can help with the hardwood flooring project you have in mine. We can work with owners, builders, or designers to best fit what flooring , refinishing or repair work that is needed. Parquet flooring is coming back as a very popular way to add special entrance ways and additional accents to hardwood flooring. 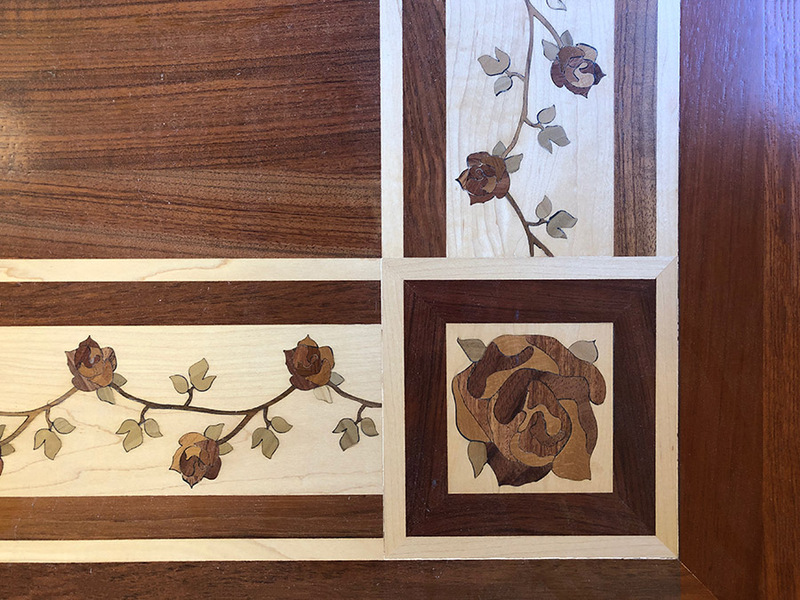 Real hardwood flooring offers many ways to achieve the custom looks you are wanting, with inlays, borders, handscrape look and flush mount floor register. 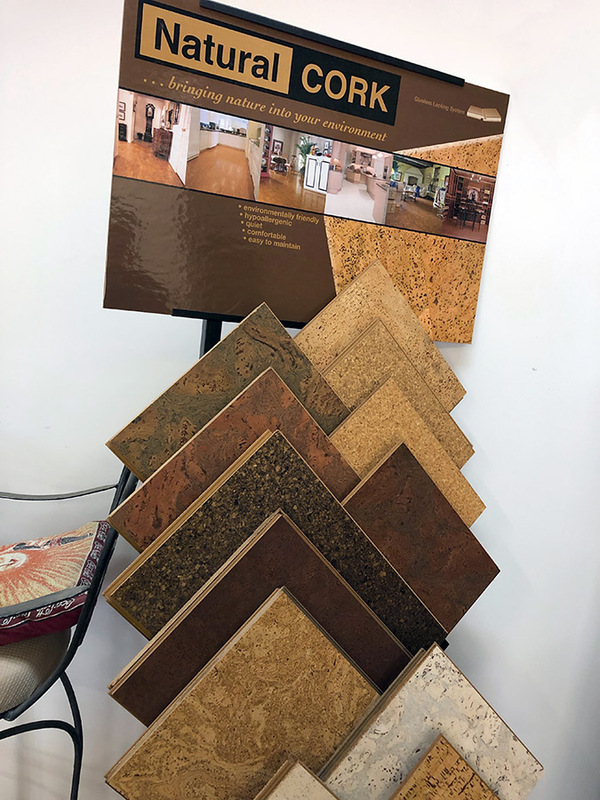 Corky’s Custom Flooring offer sales and installation of real hardwood flooring, Inlays and Parquets, as well as installation of your materials…Be it Solid wood, Engineered, Laminates, Prefinished hardwood flooring…Wood “looking” Vinyls, Corks, and Parquet Flooring. 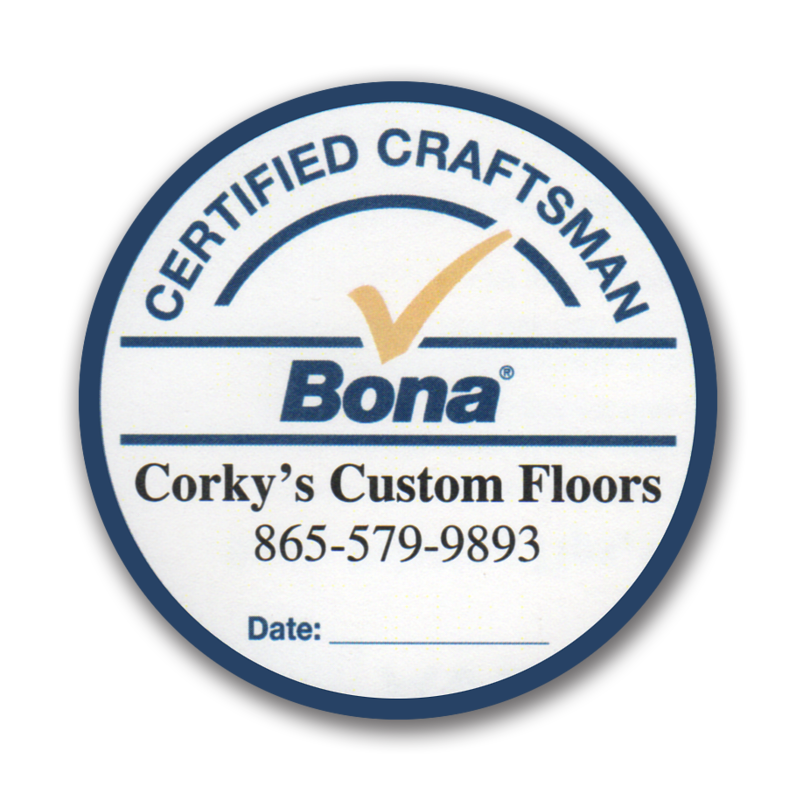 application company and all of Corky’s finishers are Bona Certified craftsmen. 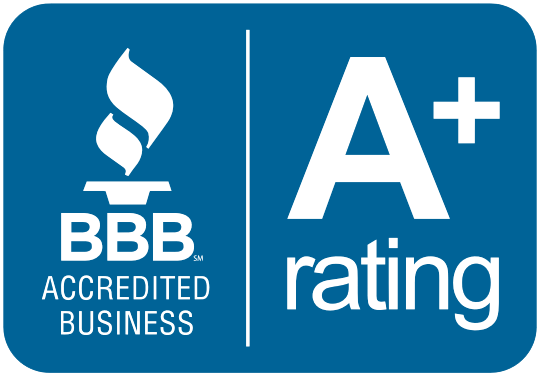 BBB Accredited Business with a A+ Rating. 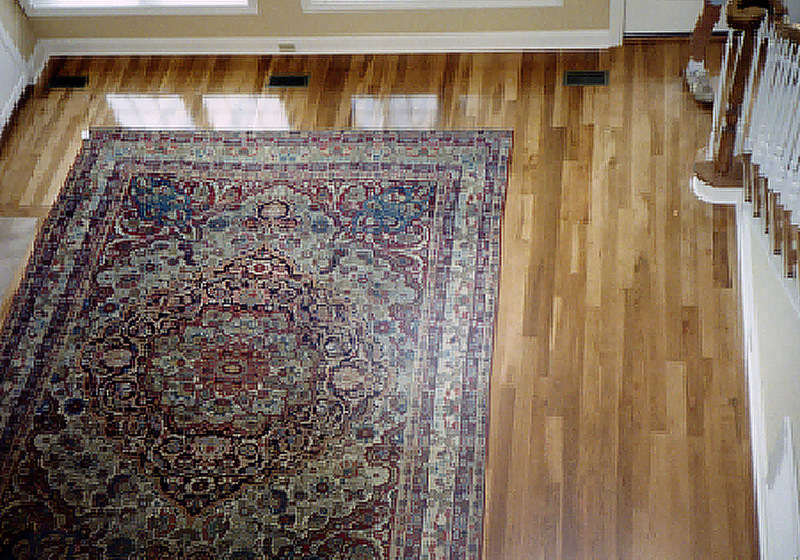 Sometimes older hardwood flooring might just need a little TLC, and minor repairs to make the come back to life. With real hardwood most of the times these repair are possible. Saving money and down time. Things happen! 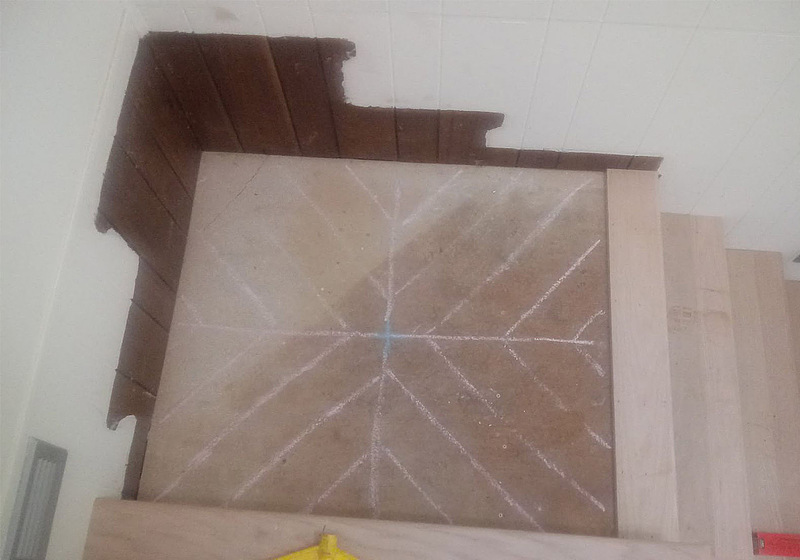 Wood floors can needs to be repair with new wood pieces over time. With real wood it is possible to make the replacement in such a way that the repair is barely noticeable. 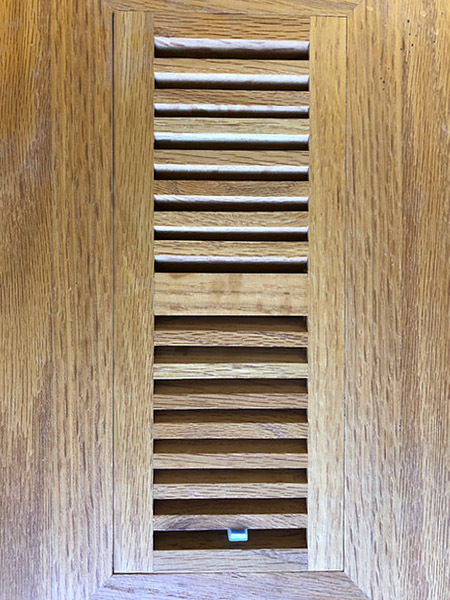 One of the best reasons for using real wood, with applied oil finishes, is the ability to have the finish re-worked when finish damage happens, or the old finish just needs a face lift. The wood can, most of the time, be sanded and new finshed applied to match the old finish and the spot looks a good as new. Corky’s Custom Flooring provides professional hardwood refinishing for your wood floors in the Knoxville area and surrounding area. 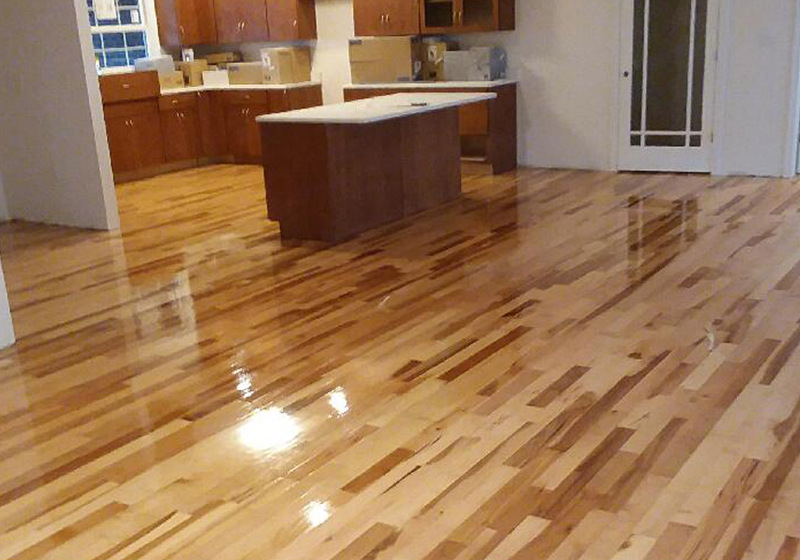 We have many options for the refinishing your floors. Call us today and get an appointment for us to review you needs. 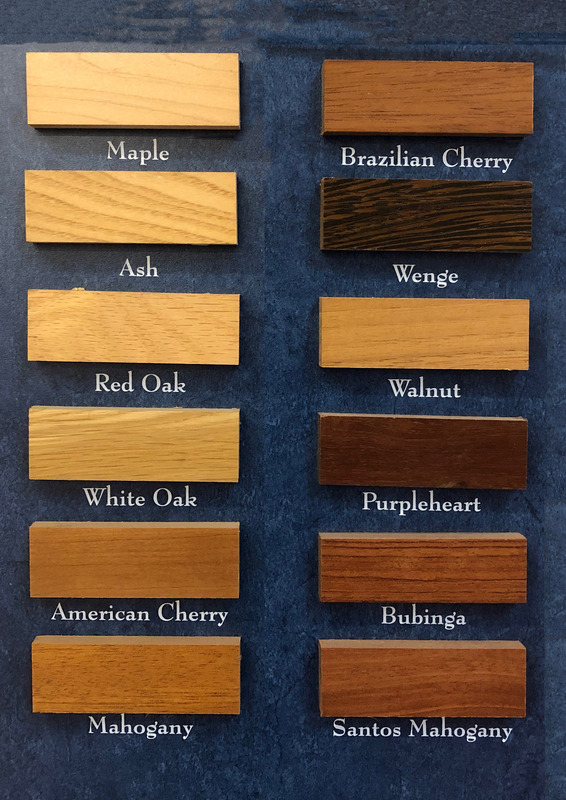 We are a locally owned business that offers an array of hardwood flooring products and installation options that is paired with a 30-year commitment to integrity, quality, and reliability—to the Knoxville area. Since 1989 we have served the Knoxville area. If you looking for the floors of your dreams? Look no further, call today! "Absolutely awesome job. 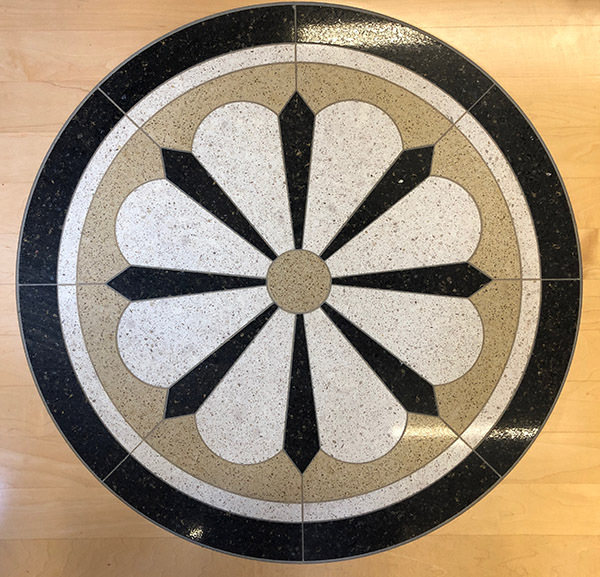 Corkys floors look amazing, they work on short notice, and are super accommodating. I would highly recommend Corky's to anybody that wants to redo their Hardwood and I would definitely use them again! These folks are the appitemy of Southern Hospitality!" 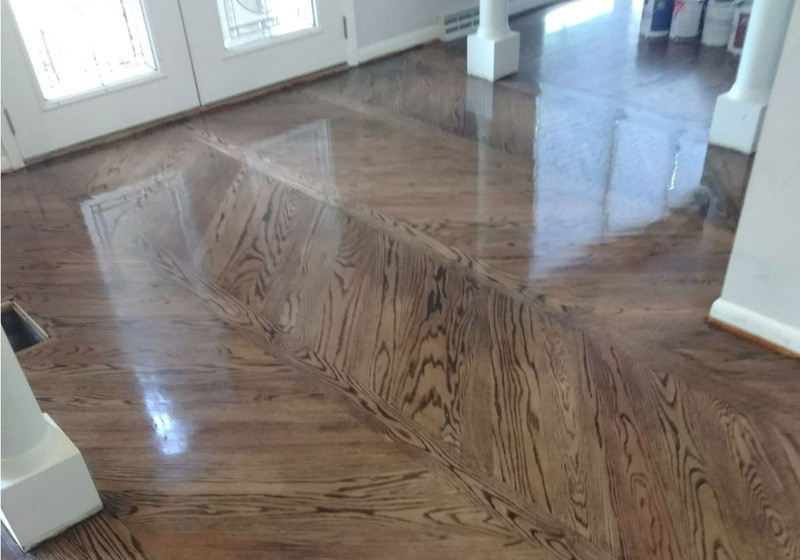 "These guys did all the floor laying refinishing and resurfacing and what its called on my second floor and they did an amazing job. They worked clean and fast and even instlled the hardwood floors in my bedroom. " Please check out some of our "work in progress" photos to see the possiblities with real hardwood flooring. 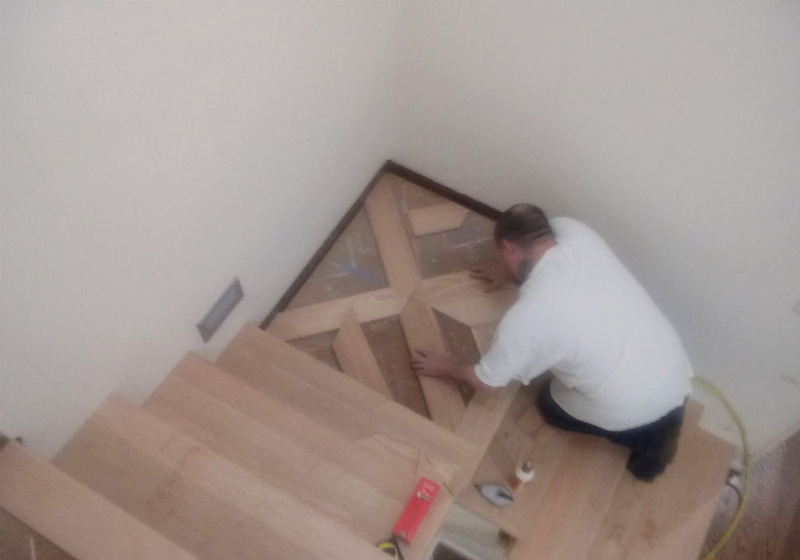 Transition of stair case to floor. 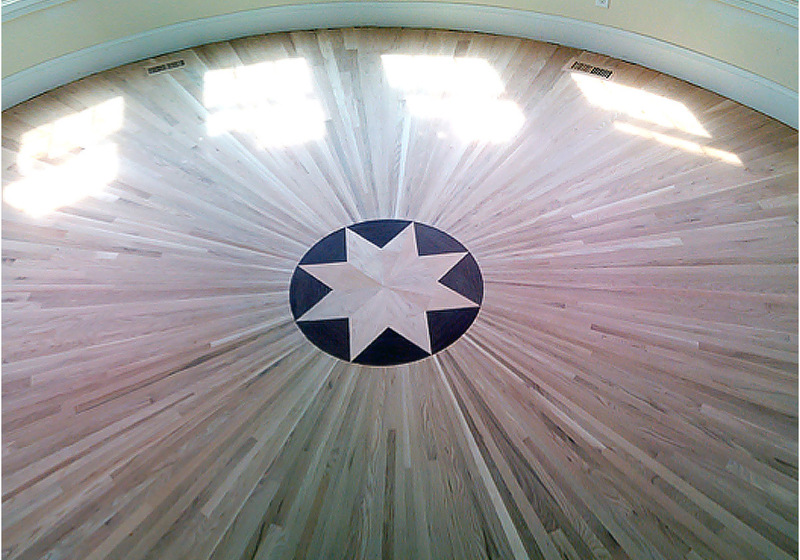 360° Oak background with Maple Wenge star center inlay. Gaps filled with filler before sanding. 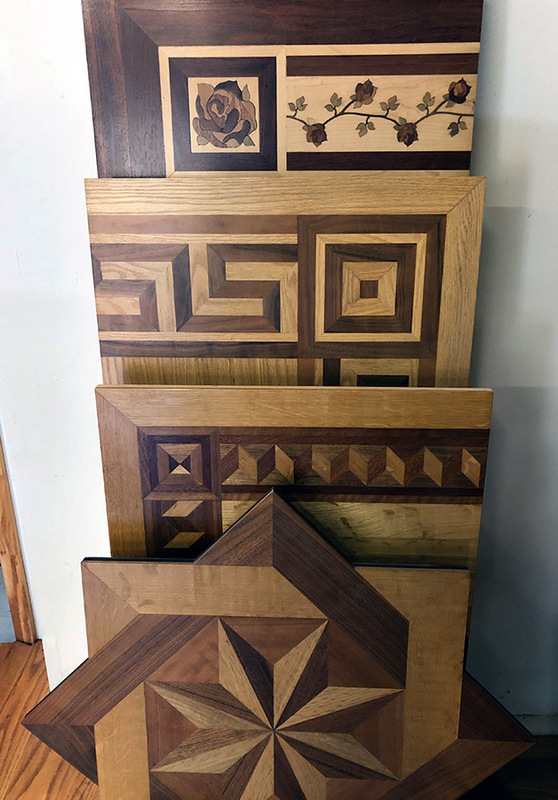 A large variety of inlay patterns. What can we help with? Give us a call or send an email.  We can send you product updates and offers via email.